Every year the competition for university places begins again with top students from all over the world battling for acceptances. But as applications pile up in admissions offices, what can students do to stand out? What qualities are universities looking for in personal statements and interviews? If a student is only applying to university for the social life or the sports teams, that will always come across in their application. But, if they have a real passion for the subject they’re applying to study, that will translate too. University is hard work and it’s called higher education for a reason – because it’s a step up. Students must be able to show commitment to their chosen course. 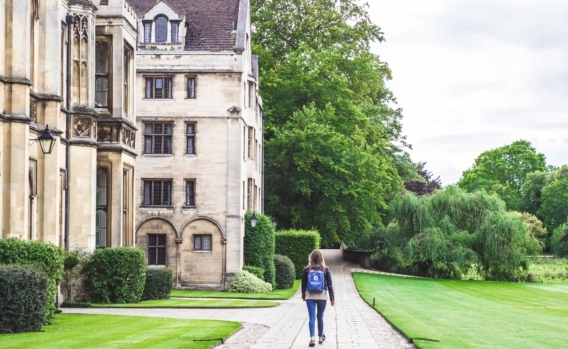 Otherwise, admissions officers may question whether an applicant can dedicate themselves to three years of studying it at university (or more). Students should aim to demonstrate that they thrive on studying their subject, that their interest continues outside of the classroom, outside of school even. Clear ambition and genuine enthusiasm will convince any admissions team that a student is a contender. At university, students are expected to engage with their studies and develop original opinions and perspectives. It isn’t enough to know facts or to recite information read online. University is all about scholarship and independent thought. Students who aren’t used to thinking for themselves rarely do well in interview. It’s also essential that applicants are able to demonstrate good time management and independent study skills. University admissions teams are looking for students who are ready to step into university life. So, if they receive an application which doesn’t demonstrate how a student has prepared, that student might not make the cut. It might sound simple, but admissions offices receive so many applications that spelling and grammar can really make a difference. Mistakes suggest a lack of care or attention on the student’s part and they tend to hinder any message they were trying to communicate. It’s also worth mentioning that the best applications use language which is clear and concise. Applications should be easy to read and informative. Many students think that flexing their vocabulary will show off their smarts, but really, they’re just making things harder for the reader. Finally, it’s important to check, check and check again. Applicants should ask as many people as they can to proofread their work and even then, an application should only be sent off when it’s polished to perfection. Universities want to accept students who will contribute to their overall community. Not only does this include collaborative thinking and being a constructive member of the class, but it also means sports and activities. If a student is the kind of candidate who would be keen to represent their university on the football pitch or as part of the students’ union, then they should demonstrate this in their application. Better still, if they can provide evidence of how they’ve already contributed to their high school’s community, then admissions officers will recognize them as a team player. Success requires endurance and universities are looking for students who will go that extra mile. Taking the initiative to read around classroom studies, taking on a part-time job to learn about responsibility, perhaps even overcoming personal obstacles to access a good education – these are all recognizable qualities of a student who knows how to work. The best applications show how much the applicant wants that acceptance, how they have dedicated themselves to being the best person, and the best candidate, they can be. The most important thing to remember when writing an application is that universities want to accept students. They are hoping for applicants who will tick all of these boxes and they’re always on the side of a student who has clearly worked hard. If an application highlights these five qualities? University admissions officers find their job much easier. Whatever the aspiration, we are committed to helping all of our students achieve their goals and realize their dreams.